We desire to build a community of disciples that is eager for the glory of Jesus to be revealed through our homes, in our city, and to the ends of the earth. Grace Fellowship was started in the early nineties as a church plant by Pastor John Steigerwald and a team from Long Island, NY. In 1997, John was called to pioneer Jamaica Teen Challenge in Kingston, Jamaica. The center is still active today and run by Jamaicans that have graduated. Pastor Bryan McCrea led the Grace Fellowship family for fifteen years, establishing home groups, deacons, and eldership (all vital to a thriving church). Under Bryan's leadership, Grace Fellowship built and moved into its current facility. In 2012, following the Lord's leading, Bryan and a team of families, were sent to plant a church in Fargo, ND. Pastor Aaron Santor was ordained to lead Grace Fellowship that same year. 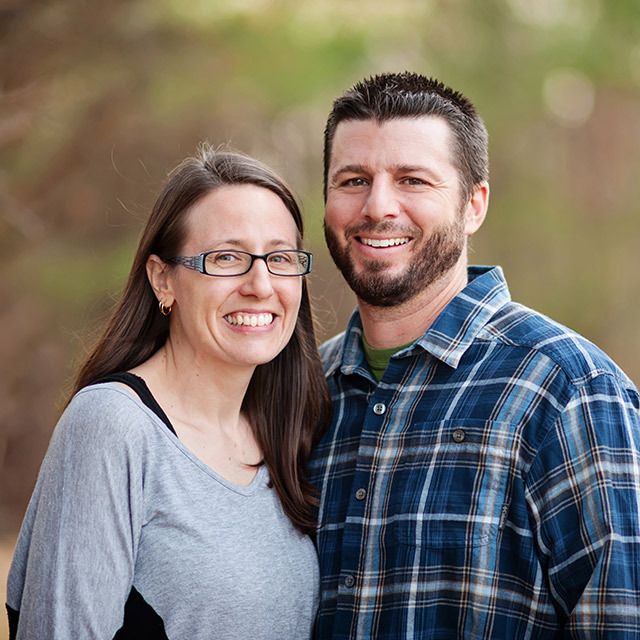 Aaron and Jennifer Santor first moved to Toccoa in 1995 to attend Toccoa Falls College. Grace Fellowship has been their home church since 1997. They graduated in 1999 and have since made Toccoa their home. They enjoy spending their time discovering new outdoor adventures with their five children. 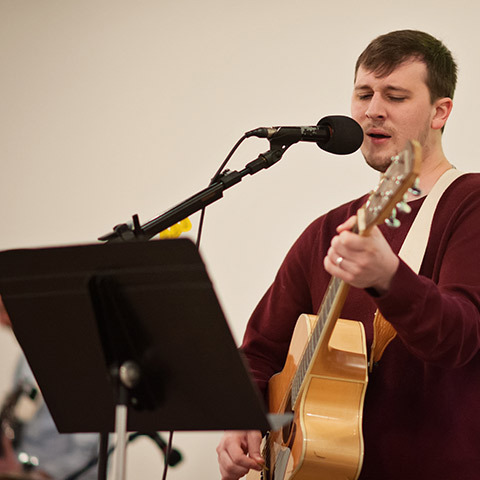 Before accepting the call to pastor, Aaron served Grace Fellowship as worship leader for eleven years. During this time, Aaron and Jennifer opened their home to minister to local college students, many of whom are now building the kingdom around the world. Aaron was installed as an elder in 2011. 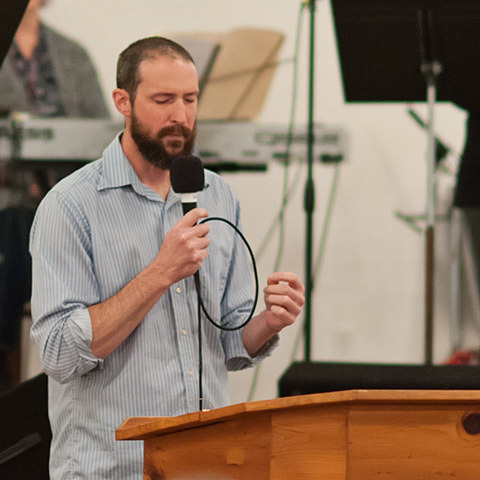 In 2012, he was called as pastor when Grace Fellowship's former pastor, following the Lord's leading, was sent to plant a church in Fargo, ND, with a team of families. 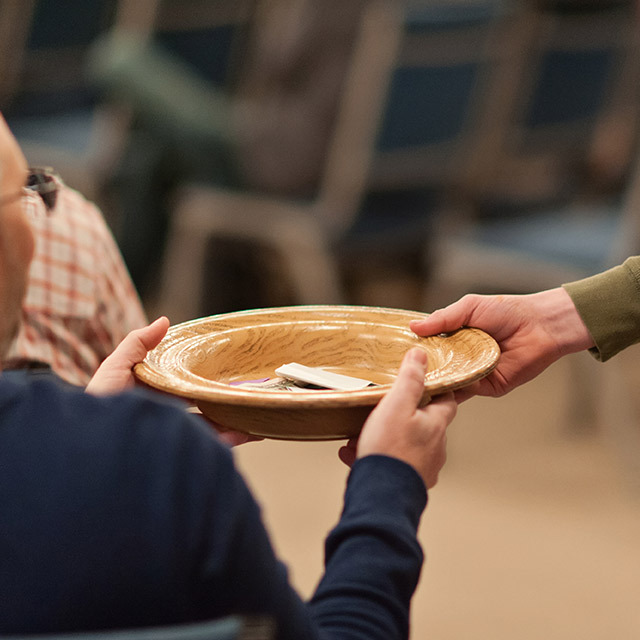 Aaron's heart in shepherding the community at Grace Fellowship is to see the body fully transformed by the knowledge of God and to be wholly captivated by Him so that they might live lives of abandon in seeking His kingdom. The Santors share a passion for adoption and desire to see the Church fulfill her role in defending the fatherless. Aaron is self-employed and Jennifer teaches their children at home. Tim and Mandi have been married since 1996. Tim grew up in Colombia South America as a missionary kid and has lived in Georgia since 1988. Mandi is originally from Toccoa, Georgia. They have three children whom they have homeschooled, the eldest having graduated in 2017 and who is currently attending LeTourneau University in Texas. Over the years, Tim and Mandi have served as home group leaders and have taught Sunday school in the children’s church ministry. Tim has served on the worship team since 1998 and was appointed as an elder in 2011. 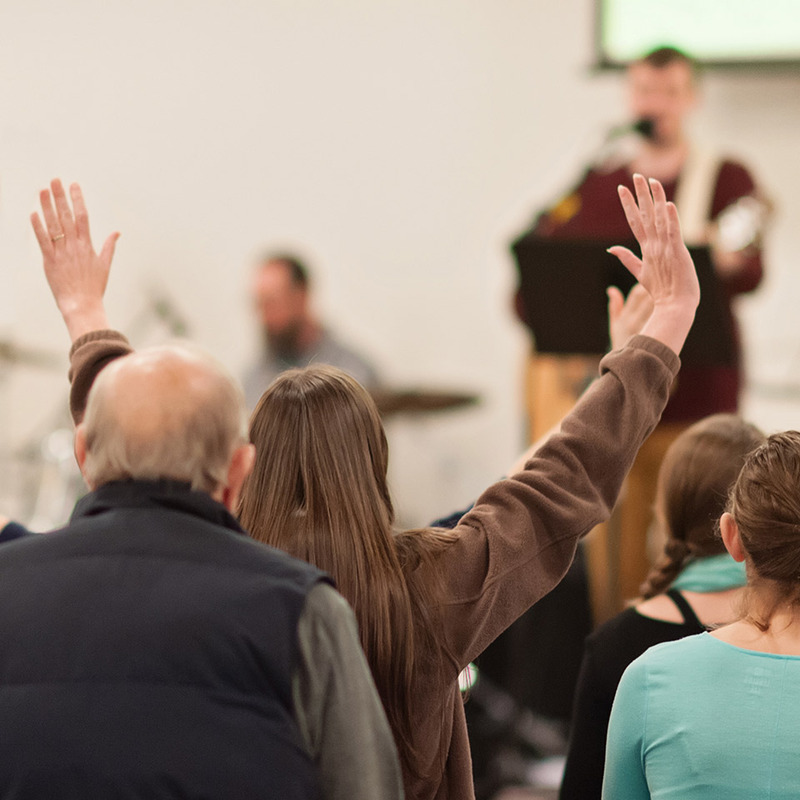 He is currently serving in both of those capacities and has taken on the role of associate pastor and periodically speaking on Sunday mornings. 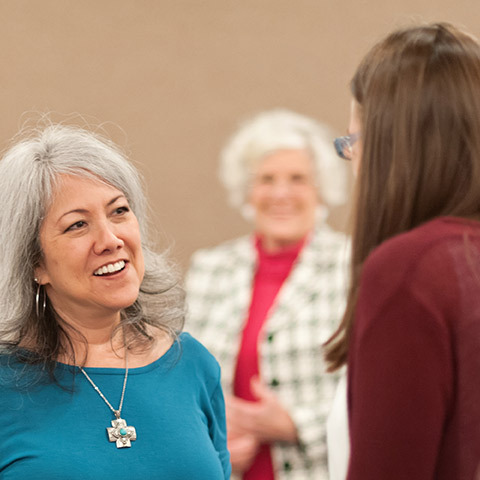 Mandi has been heading up the women’s ministry for the last several years and has been a wonderful source of encouragement to many of our ladies. 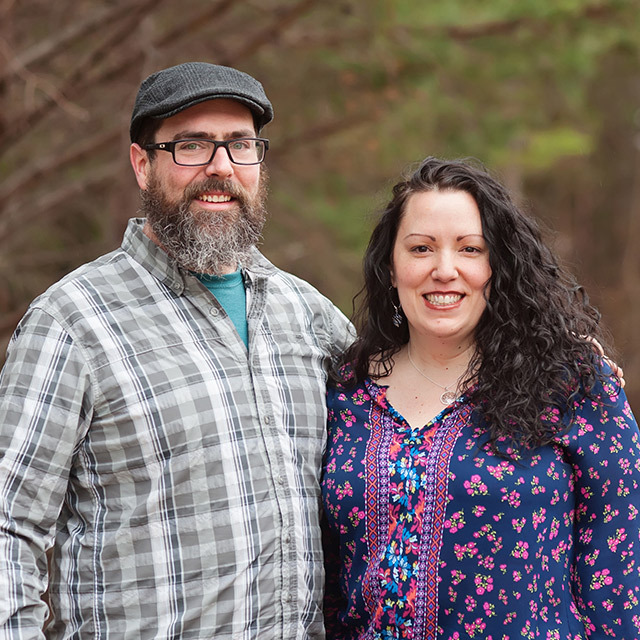 Tim and Mandi are passionate about prayer and prophecy and believe that they go hand in hand in the form of talking to God, hearing his voice, and sharing that with the body. 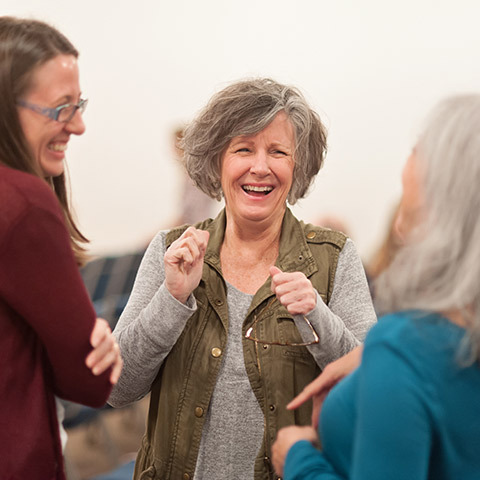 They long to see the church continue to grow in prayer and the gifts of the Holy Spirit and are excited to see the Kingdom of God expanded in Toccoa and throughout the rest of the world. Bo and Annette Webb have been married since 2010. They have 5 daughters, 2 sons, and 1 granddaughter. Annette has lived in Toccoa since 1988 and was born in Scotland. She currently homeschools the 2 youngest children. Bo was born and raised in Douglasville, GA and moved to Toccoa in 2010. Bo works in Atlanta as a Superintendent for McCarthy Construction Company. 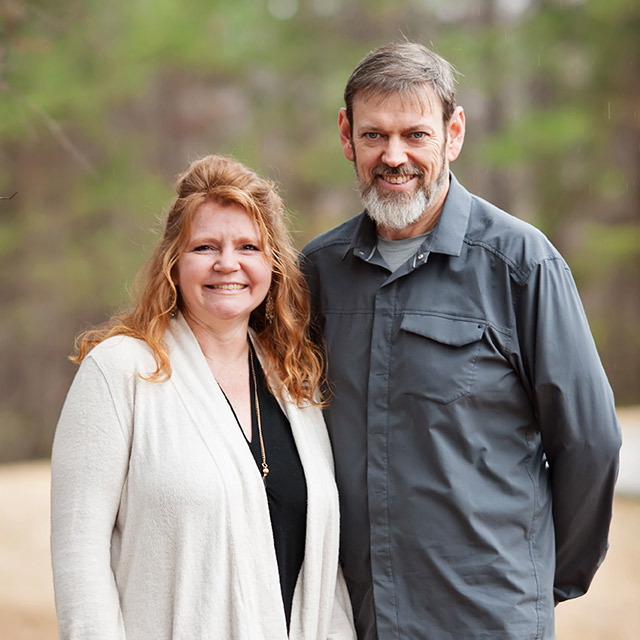 The Webbs have been attending Grace Fellowship since 2016 when they felt the Lord calling them to seek a church family where their family could grow and serve Him. Bo has served in the Men's Ministry assisting in the men's group, leading a home group, and is a member of the church finance team. Annette serves on the Ladies Ministry team, helped Bo in leading a home group, and enjoys using her gifts in hospitality to serve the Body. They share a passion for serving the Lord on the mission field, especially in Albania where they recently led a missions trip with the church and pray that the Lord continues to use them there in the future. They were recently installed as Deacons in the fall of 2018 and look forward to serving their church family and using their gifts to further the Kingdom. Bo enjoys bird hunting, kayaking, firing up the BBQ, and being in the outdoors whenever possible. Annette enjoys gardening, being outdoors, decorating, and hosting gatherings. 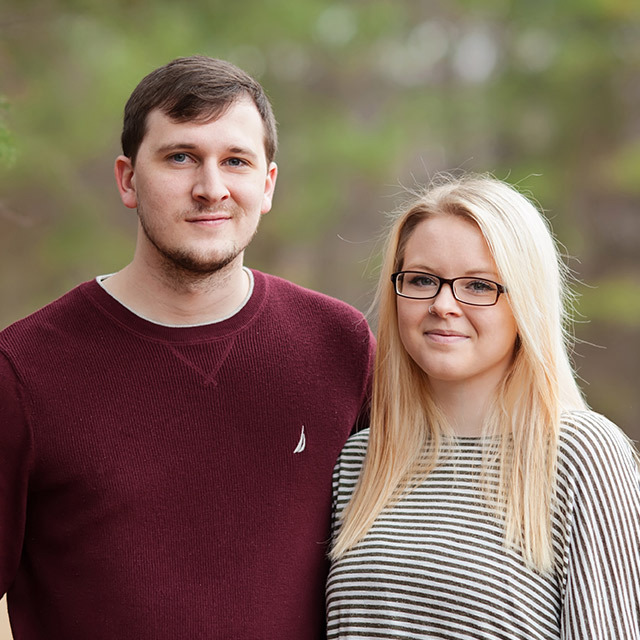 Nicholas moved to Toccoa in 2001 to attend Toccoa Falls College and began attending Grace Fellowhip. Leah moved the following year, and they were married in 2003. The Smiths have a heart to serve and a desire to use their gifts for God’s glory. They have served teaching children’s church and on the worship team for several years. 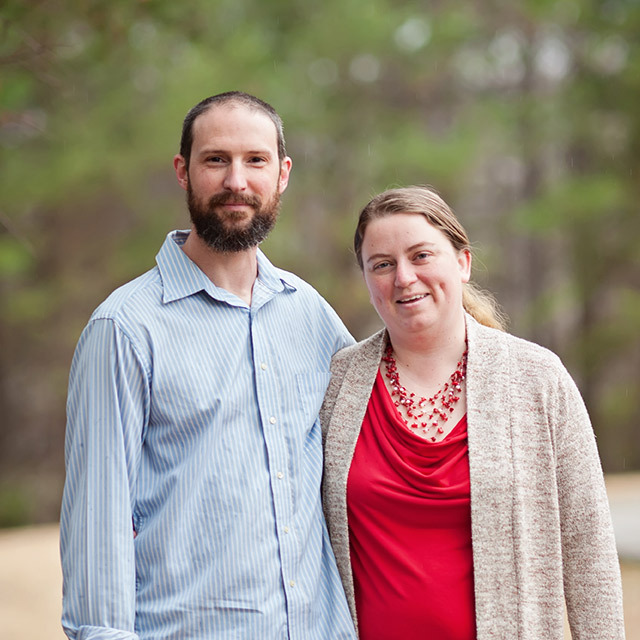 Nicholas works for NGN, an internet provider, and Leah homeschools their 3 boys. Seth and Keisha met in high school and were married after graduating together. They grew close through music and since dedicating their lives to the lord They have been led by the lord to music ministry, and enjoy leading the congregation in faith filled, surrendering worship to the father. We believe we are a family, with Him, on His mission. Come and worship with us Sundays at 10am! 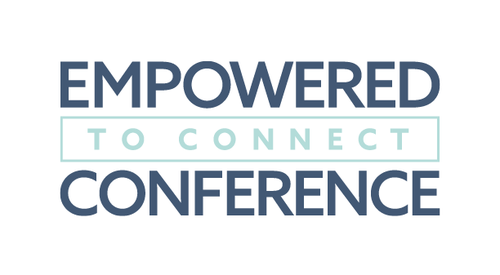 Steven Curtis Chapman's Show Hope adoption grant foundation has partnered with the late Karen Purvis and Empowered to Connect in order to host a conference for those dealing with trauma in children from hard places. Our children’s ministry consists of 3 age groups. We have nursery for children ages 0-2. We have Sunday School class for children age 2-4 that takes place during the sermon. Kids ages 5-12 are invited to attend Children’s Church during the sermon time and are currently going through a chronological story based bible lesson series. "We believe not only in being a family on mission, but building a family on mission as well, and that this primarily happens in the context of a small group setting." Throughout the New Testament, the phrase "one another" is used 66 times. 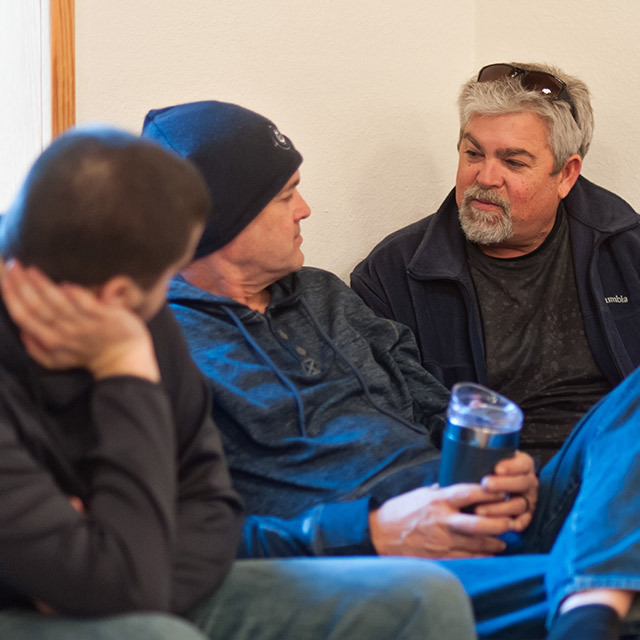 Our vision for the home group ministry at GFT is to create a "one another" focused culture. That home groups would be the place where we practically walk out praying, encouraging and caring for one another, and that we would go deeper in God's word together. 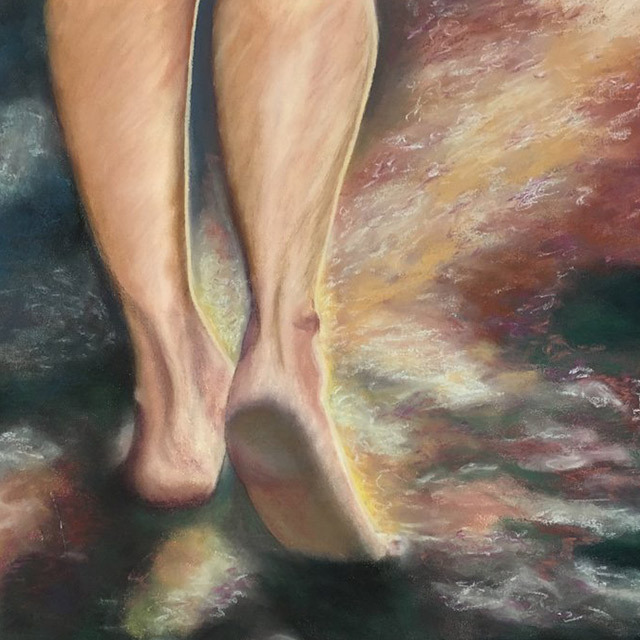 Our mission is to encourage and inspire the worship culture in our region for the sake of providing: common community for fellow creative believers, an inlet for the lost artist, and growth in our artistic endeavors for and through our Savior, Jesus Christ. Grace Fellowship Toccoa is working to provide each child entering in the Stephens County foster care system with a Psalm 9:9 comfort box. Every month, children in Stephens County are removed from their homes and enter the foster care system. In many cases, these kids are taken with no notice, often during the night, with only the clothes on their backs and having no idea where they are going. We want to show these kids, especially in this scary time, that they are loved and have a Heavenly Father that cares. Grace Fellowship hopes to provide each child entering the system with a “Psalm 9:9 Comfort Box”. Each Comfort Box will be a reusable plastic box containing gender and age appropriate comfort items such as personal care items, toys, snacks, Bible verse coloring pages, and notes to let them know someone is praying for them and thinking of them. Please consider partnering with us financially to meet this critical need in our county. We estimate each box to cost between $30 to $35 to pack. To give to this ministry, please email us or click the Donate Now button located below. Please make sure to include “Psalm 9:9” in the PayPal "add special instructions to the seller" line. When emailing, please type Psalm 9:9 Comfort Boxes in the subject line. This need will be ongoing as we hope to deliver a box to each and every child that enters the foster care system in Stephens County. Thank you for considering giving to these most vulnerable citizens in Stephens County.